Many things excite me. 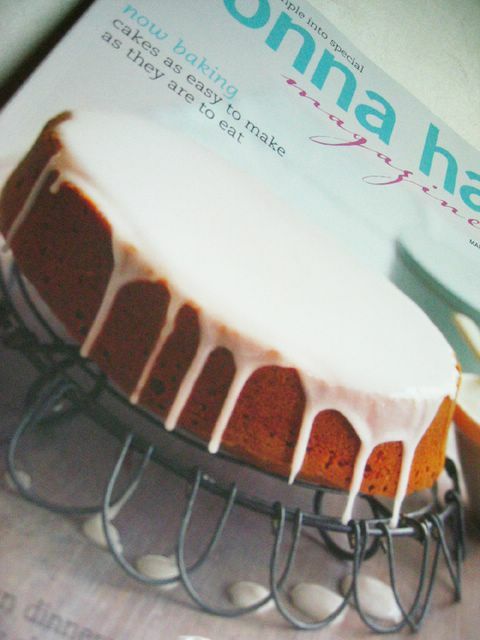 Me, being the die-hard baker that I am, I tend to love flipping through baking/cooking/food magazines. Whether it be the library or the bookshop, I normally dive straight into the food section. Maybe I’m just this maniac who finds sweet solace in burying her nose in any thing that looks like it would taste like heaven. i wonder how heaven would really taste like. considering if one can actually taste up there. heh. anyway, it’s to no surprise that I bought a recent issue of Donna Hay’s Magazine when I was browsing at Times Bookshop. I got to admit, it’s my first time reading it and I was so bowled over that I actually bought it! Paid SGD$9.90. It’s quite expensive for a magazine but it’s darn worth it. There’s like so many different recipes ranging from fuss-free lunch/dinners to baking pies, cakes and even souffles. The photography is impeccable. Looking at the front cover already makes you drool. It says alot. It practically drawed me to it. I know I’m going to have a great time trying out the recipes one by one. Look out world, here I come…. to bake/cook/eat more yummy eats. Take one good look at this photo. Need I say more? This is the ultimate ingredient every baker must have. It’s 10 times better than vanilla essence or vanilla extract. 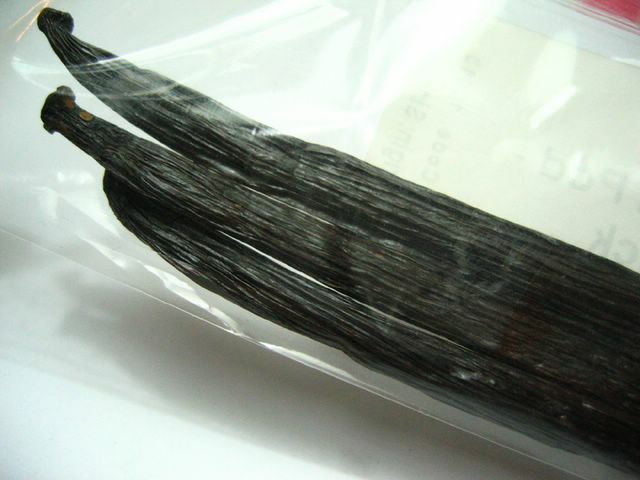 But it’s kind of sad that down here in tropical Singapore, we hardly see vanilla pods. They’re not a common sight. In fact, this was the first time i’ve seen it. And I knew I just had to buy them. Got it from Phoon Huat, this amazing one-stop baking needs store. It’s very expensive. Those 3 tiny pods cost me about SGD$4. That’s like only 8 grams of vanilla pods. *Sigh* what to do… it’s a rare sight and I know it’s money well spent… now, i just have to find the perfect recipe to use it. might try out vanilla creme brulee. Mmmmm…. If you’ve noticed by now, this post is mainly about what has got me all excited this past week. I’ve spent quite alot buying ingredients and equipment for new stuff I’m planning to bake. But what can I say, I do think it’s worth it. Take this Tart Tin for example. I just learnt how to make tarts and I do like how it’s so easy and delicious. Therefore, I decided to invest in a proper tart tin and viola, there you have it. my first tart tin. 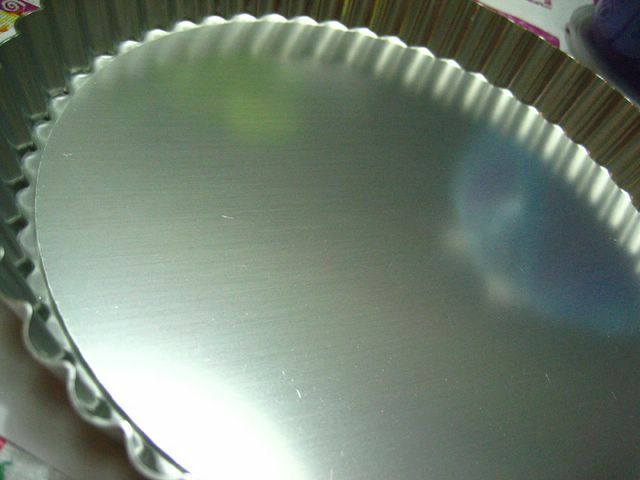 =) yes yes, I know most of you would already have had a tart tin since god knows when… but hey, tarts are my latest foray and I do regret not making them before! I’m now a tart convert. hahaa…. Ahhh vanilla pods. Nothing substitutes for their flavour that’s for sure. They are expensive here as well, therfor I only use them when the recipe centres around vanilla. If vanilla is just added for essence, I usesome wonderful extract that was bought for me while my sister was in the Dominican Republic. It smells and tastes so different from regular commercial extract. It is a nice treat to use it. I love Donna Hay’s magazine and have been subscribing for awhile now. Beautiful photography, with simple recipes that are fancy enough for entertaining. She just (in the US) released her newest cookbook. Enjoy your new find! Where did you get your tart tin? Or all of your equipment, for that matter? The tart tin looks so nice.